Johannes Tovatt studied at the School of Architecture at KTH Royal Institute of Technology in Stockholm in 1986–1991. 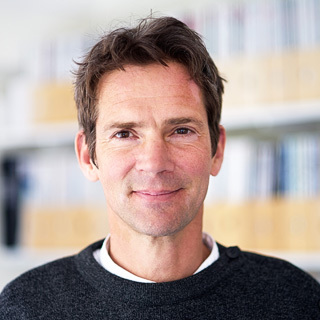 He joined Ralph Erskine Architect and Planner before his studies and became a partner with Ralph Erskine 2000, forming Erskine Tovatt Architects and Planners and later on co-founding Tovatt Architects & Planners. He has worked in a wide range of projects throughout Europe and has led a number of price wining and well published masterplan and building projects. Johannes Tovatt has been a jury member in a number of masterplan competitions and he is a member of the board in the Ralph & Ruth Erskine Foundation. Johannes has given lectures at, among others, ETH in Zürich, London School of Economics, Harvard University, Politecnico di Milano and the Royal Institute of Technology in Stockholm. Read about Johannes work on the office's largest urban project, Seestadt Aspern in Vienna, here (only in swedish).